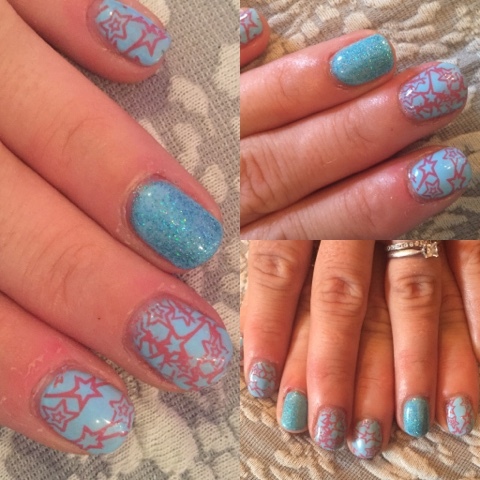 So I though I would try it on myself this time and I chose turquoise and pink with the star stamp plate with a glitter accent finger. I think it works really well together and im pleased with the stamp and how it turned out. I got quite a lot of compliments when my nails were like this so I would defiantly have this style again I did it with gel base by IBD and the Moyou stamp colour in pink and plate as well as a glitter from eBay. Have you tried stamping? How did you get on ? Oh, I love this! You're so artistic as well - you've really made it your own design.